The end of 2017 is quickly approaching, but we don’t want to leave the year without first reflecting on it. Some of our team members and contributors wanted to share with you their favorite discoveries in 2017 and wishes for the New Year. From new restaurants to local events, join us in highlighting and remembering what a great year we’ve had here in the Fargo-Moorhead area. “I was born in Fargo the year that Michael Jackson released “Thriller”. I attended Moorhead High School and later MSUM. I was originally going to get my degree in broadcast journalism but decided to set my sights on advertising and public relations. “I’ve had a crazy path to get to my current career. I started in banking, moved across the country, came back, worked in banking again, enjoyed volunteering and switched gears into the nonprofit world, started at Spotlight Media in advertising sales and finally landed in my current client relations role. I’m in the perfect spot right now overseeing our publications’ advertising, client relations and project management. Give a shout out! Who in the community do you think has made an impact in the Fargo-Moorhead area this year? 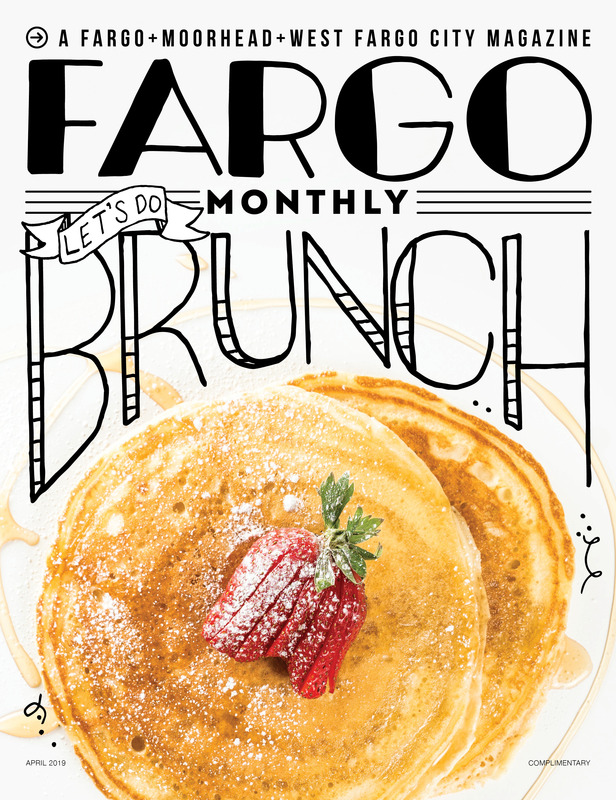 What is at the top of your Fargo-Moorhead bucket list for 2018? What did you learn about Fargo this year? If you’re with Nick and sushi is a new experience for you, try the Dakota Roll from Wasabi. It was voted “Best Sushi Roll” in our Flavor Awards in May. “I’m Fargo-born and raised and a proud alumni of NDSU–I bleed green and gold. I work full time at Spotlight Media as the staff photographer and also work as a freelance photographer, specializing in portrait and commercial photography. “I’m Alexandre Cyusa—the Fargo-Moorhead-Hearted Rwandan citizen. I came to the FM area in the fall of 2010 to attend Concordia College. Originally from Kigali, Rwanda, I’ve lived in Switzerland, Ethiopia, Guinea and France. “Located in the food truck park in the old Goodyear parking lot, they served Persian (Iranian) cuisine, which is exquisite and rich in flavors. “So many cultures are united under one roof and it’s a great cultural experience. I love taking friends to the IMP in order for them to engage with so many cultures in one singular place. GeeGee’s Store located in the IMP is where I buy most of my colorful and traditional fabric cloth you see me wearing in most of my articles. “I’m a graphic artist with a serious passion for what I do. I’ve always loved to draw and create. Pencil and paper is my go-to medium but I’m always down to dabble. I fell in love with digital design at a young age, banging out killer bitmaps on my moms ol’ MS Paint program. By this point, I knew I’d found my calling. I enrolled in the graphics program at MSCTC and started my professional journey. You can find more Fargo-Moorhead events on our Events Calendar. “A big shout out to Fargo Park District for being unsung heroes and keeping the outdoors clean and tame for us to go expend some office energy! This is Fargo Park District’s logo through the eyes of artist Steve Knutson. Check out his recently unveiled local art piece at the Depot, also home to the Fargo Park’s office, in Downtown Fargo.